Online businesses, marketing strategies and social networking are gaining importance and are being most widely used by millions of people today. It is crucial to check the website’s functionality and track the performance during downtime. As a huge number of people log into the website simultaneously, the user may see a slowdown of the website. It should be properly working 24/7 and accessible worldwide. Global monitoring network comprises of servers at different geographical locations worldwide for monitoring. The benefit of multi-location monitoring system is that it notifies how well a website or web based application performs in front of worldwide users. By having multiple servers in various locations it can be determined if the web server available is compatible across different networks worldwide. Monitoring can be done either to a single page or to whole business transactions. The multi-location monitoring system provides a reporting console with all the tools helpful to manage and learn the discovered issues. The monitoring system features are – it checks if the domain system is working properly and also verifies that it has not been hacked or blacklisted. The multi-location website-monitoring notifies the owner by sending an SMS, email and detailed reports which help the clients to find the problems and improve the website appearance globally to all customers. The e-businesses generally include web applications, web servers, SSH and FTP servers in order to store data. The data can be protected through intrusion detection systems and firewalls to provide security for a period of time. This is not enough because there are chances that hacking might occur. Therefore, website should be frequently monitored through multi location monitoring services which notify the owner about the uptime, downtime, performance and other issues of the website. With this data the businesses can diagnose the problems and hence it can certainly bring a positive impact to the businesses. 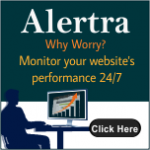 How Website Monitoring Maintains Website Uptime? 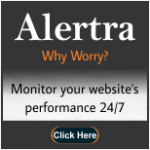 How Website Monitoring is Beneficial to Your Website?